A Serbian government jet carrying former Yugoslav army commander Ratko Mladic has landed in the Netherlands, where he will be tried by a UN war crimes tribunal. 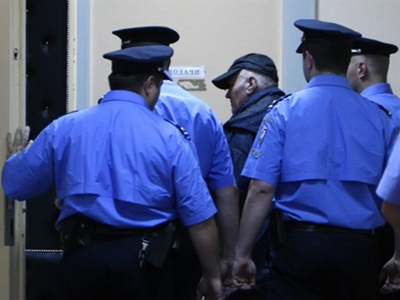 The plane carrying Mladic touched down at Rotterdam Airport hours after judges in Belgrade rejected the appeal to delay his extradition and the Serbian Justice Minister Snezana Malovic authorized his handover to The Hague court. The appeal was submitted on Monday, with Mladic’s lawyers insisting the 69-year-old accused is too weak and ill to travel to another country. Although the court can usually take up to three days to consider the appeal, in Mladic’s case the final ruling rejecting the appeal was made extremely quickly. The International Criminal Tribunal for the former Yugoslavia [ICTY] spokespersons have promised that Mladic will receive proper medical help. In accordance with international law, once in The Hague, Mladic will be presented to the judge immediately. The trial is expected to take up to two years. Mladic received a farewell visit from relatives – his wife and sisters – and from his lawyer Milos Saljic. They brought him a big suitcase with clothing he will need in The Hague. 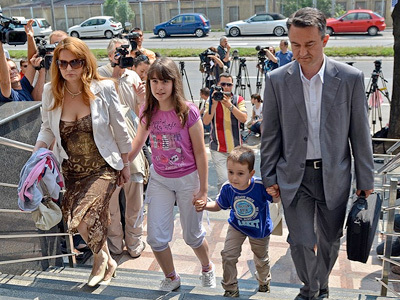 According to Salijic, the former military commander was crying and very emotional. However, many people in Serbia doubt Mladic will receive a fair trial in The Hague, recalling the cases of Slobodan Milosevic, Radovan Karadzic and some other alleged war criminals. Stephen Karganovic from the Srebrenica Historical Project believes that The Hague does not have enough evidence against Mladic. “The forensic evidence certainly does not support the extravagant charges of 8,000 victims, and much of the evidence of legitimate combat that occurred during that period is studiously ignored by The Hague tribunal and by the press, because they have to do it if they are to boost the number of casualties to come somewhat closer to the target figure of 8,000,” Karganovic told RT. The Prosecutor of the International Criminal Tribunal for the former Yugoslavia (ICTY), Serge Brammertz, has postponed his visit to New York, where he was expected to present his report on Serbia’s cooperation with ICTY to the Security Council. 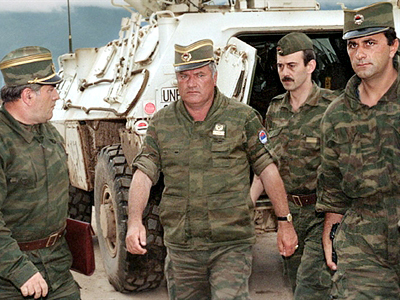 Ratko Mladic was arrested in the Serbian village of Lazarevo on May 26, after more than a decade on the run from war crimes charges. Mladic has been charged by the UN war crimes tribunal for his part in the killing of some 8,000 Muslims in Srebrenica, as well as other atrocities committed by his troops during Bosnia's 1992-95 war. 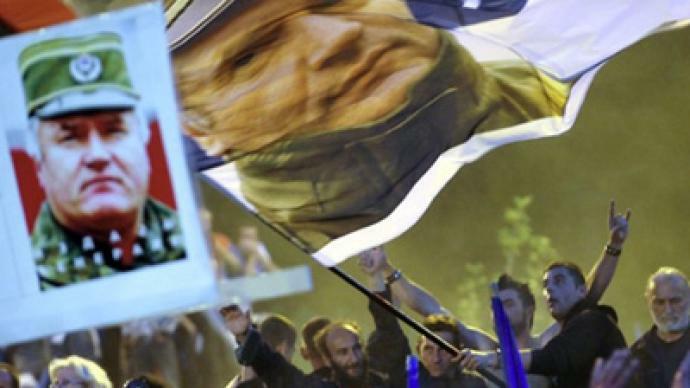 Meanwhile, thousands of Mladic supporters have reportedly gathered in Banja Luka, the second largest city in Bosnia Herzegovina, in a protest organized by Bosnian war veterans. 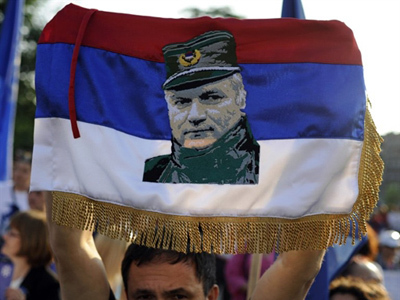 Organizers of the rally proclaim Mladic a war hero who defended their fatherland from 1992 to1995. 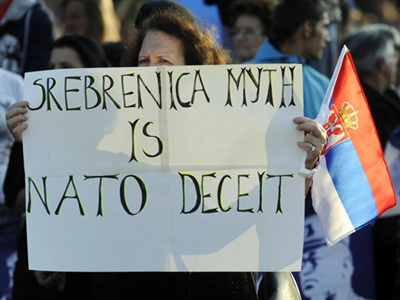 ­Nebojsa Malic, a journalist and Balkan historian, says that this is not really a trial only of Mladic, but the trial of all Serbs and all Serbia. “Mladic is part of the entire set of political and police military leaders that the ICTY has put on trial in order to demonstrate that everything that happened in the Balkans in 1990s was a grand Serbian conspiracy. Of the other people – from Croatia, from Bosnia, from Kosovo – who were indicted by the court, they have all been charged with very specific things and individual crimes, and in rare instances maybe a bit of command responsibility and then they will be acquitted. Only the Serbian political leadership, military leadership and police leadership are being charged with membership in this grand conspiracy,” Malic said. ­Does Mladic’s extradition open the door to EU? Serbian president Boris Tadic said that after Mladic’s arrest, Belgrade expects to hear a specific date from the European Union to start negotiations on Serbia’s membership in the EU. “The arrest of Ratko Mladic removes a big obstacle from Serbia’s way into the European Union,” said Stefan Füle, European Commissioner in charge of Serbia’s negotiations to join the EU. “Of course, Serbia will also need to perform a range of economic and structural changes,” he added. The President of the European Parliament, Jerzy Buzek, stressed that Mladic’s arrest will speed up Serbia’s negotiations concerning its entrance into the EU. The Dutch PM Mark Rutte, however, believes that the arrest of Ratko Mladic does not mean that Serbia will automatically be invited to join the European Union. The Hague, he said, is also pursuing Goran Hadzic, former president of the Republic of Serbian Krajina during the war in Croatia, who is also accused of war crimes and crimes against humanity.